Survival enthusiasts have a thrilling, exciting, and adventurous hobby. Often times, it can seem a bit overwhelming to the rest of us! As such, it’s perfectly understandable that you are not entirely sure what gifts to get for the survival enthusiasts in your life. To help you pick the perfect presents, here are our picks for the top 15 gift ideas for survival enthusiasts, and what features to look out for when making your purchase. When someone is moving around in the wild, they need tools that can provide as many functions as possible. You will want to opt for gift items that can do more than one thing, if possible. This doesn’t mean you can’t purchase a present designed for one specific purpose – just make sure it is useful enough to justify being brought along on an excursion! A survival enthusiast is going to be using tools in high-intensity, wild environments. As a result, the items must be rugged and resistant to the elements. An item that snaps in half on its first trip is probably low quality and is going to send a bad message to your giftee. On top of that, it’s a present that isn’t going to get a lot of use before it has to be replaced. The whole point of survival is, well, to survive! Purchasing items that help aid your giftee’s quest to survive rough, intense environments shows that you care about their safety and want them to stay healthy and unscathed. Items that directly boost a giftee’s safety levels or are made to be extremely safe to use in the wild are great gift ideas. What time of survival excursions in your giftee into? Do they enjoy hunting? Hiking? Camping? Do they tend to travel through water? Or do they drive around in an off-road vehicle? Buying a present that is relevant to the recipient’s personal hobbies shows that you put thought and effort into the purchase and guarantees that they can, and will, use it. The Bisgear Camping Cookware sets are the ultimate tools for survival cooking. 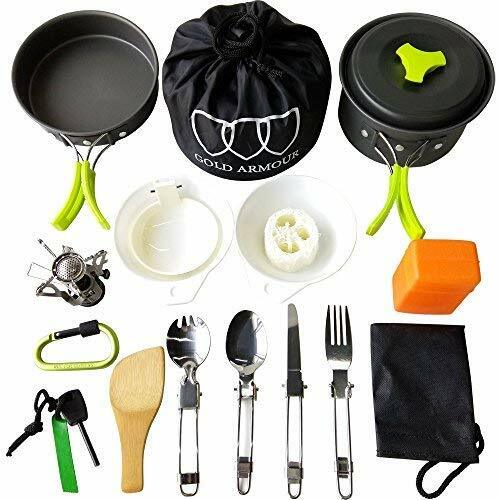 They are inexpensive and packed with incredibly useful and multifunctional items, including nonstick pots and pans, bowls, cutlery, and sponges for cleaning. They come with an easy-to-use nylon bag and pack together in an incredibly compact fashion. All items used in these cookware sets are FDA-approved, BPA-free, and easy to clean. On top of everything else, you can choose from different sets containing between 12 and 17 pieces in different colors based on what would best suit your giftee’s needs and preferences. The Esky Emergency Hand Crank Radio is an essential survival radio. It’s everything all in one! 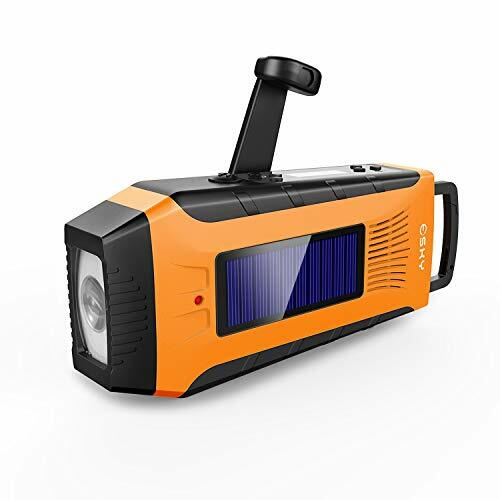 Apart from an easy-to-use AM, FM, and NOAA radio, this device is fitted with an extremely bright and powerful 3W flashlight, an SOS alarm for emergency signal sending, and USB and micro USB support so it can be used to charge other devices. This emergency radio runs on four different kinds of charges: USB electrical docks, through the manual hand crank, through a solar panel, and with batteries. When fully charged, its 2000mAH battery can provide 8 hours of radio time! Lighters are a survival standard, so your giftee likely already has a selection of them. 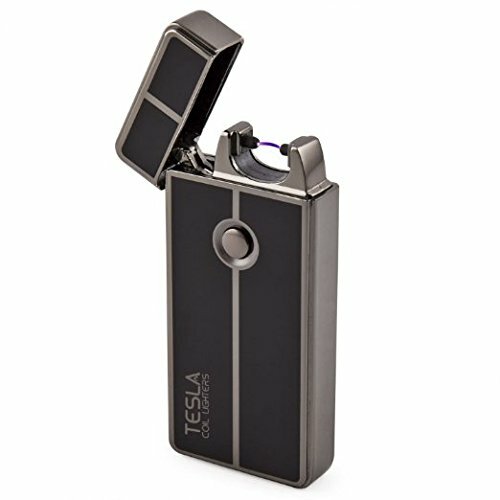 But the Tesla Coil Lighters™ USB Rechargeable Windproof Arc Lighter is a step above the typical lighter. It is purely electronic and does not use butane, fuel, or even a flame. As a result, it is completely waterproof and very environmentally friendly. This arc lighter is rechargeable via USB, with one full charge lasting between 100 and 300 uses. It is extra safe and has a feature that prevents lighting once the lid is closed. And, of course, it’s also modern and stylish in design. 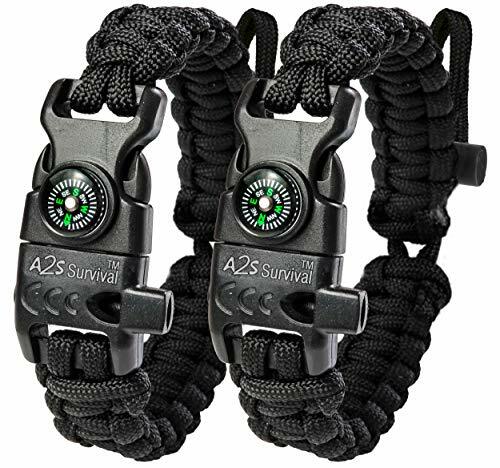 The A2S Protection Paracord Bracelet is a 5-in-one survival tool that is small, compact, and lightweight when worn on the wrist. Its many features include a fire starter, a compass, a knife, a 100 dB whistle, and 12 feet of military-grade 550 parachute cord that can hold up to 550 lbs. This paracord bracelet comes in a variety of different sizes and colors, with adjustable kinds also available. It arrives with an instructional leaflet filled with survival tips and tricks, so it’s even great for a beginner survival enthusiast. Survival enthusiasts usually try and fit as much as they can into one backpack. That backpack, therefore, has to be roomy without being bulky, highly resilient, and just the right, comfortable size. The TETON SPORTS Scout 3400 Internal Frame Backpack is a great bag for this purpose. 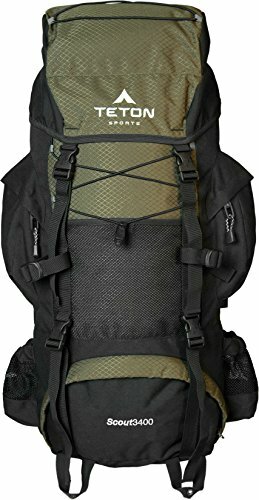 This internal frame backpack is a great tool for short adventures and trips, and it is highly adjustable to allow for the highest level of comfort possible. Thanks to molded channels and a comfy lumbar pad made from open-cell foam, it is both durable and well-ventilated. 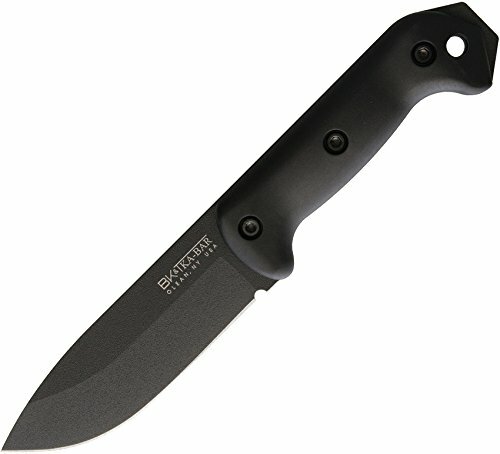 The KA-BAR Becker BK2 Campanion Fixed Blade Knife is one of the most reliable and dependable fixed blade knives out there in the market. It is a heavy-duty field knife that can be used for all forms of camping and wilderness survival chores. Its blade is fashioned from 1095 cro-van steel, which is extremely durable. This fixed blade knife slips easily into a black nylon sheath with a hard shell can be easily deployed one-handedly. When sheathed, the knife locks into place and does not easily fall out unless deployed intentionally. Additionally, the handle is comfortable and ergonomic to hold. 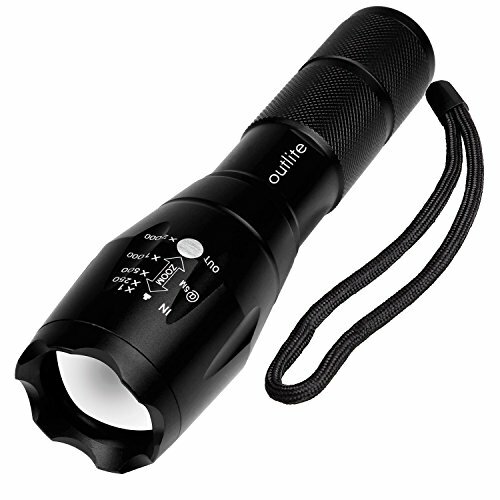 For a survival enthusiast who often spends nights out in the wild, the Outlite A100 Portable Ultra Bright Handheld LED Flashlight is a keeper. This flashlight has 3 brightness levels, with the most intense spotlight mode allowing for illumination for up to 600 feet. This light also has an SOS mode and a strobe, and an option for circle floodlight-type illumination. This LED flashlight is water resistant and resists damage, and its ergonomic shape makes it a fantastic handheld device. It promises high lumens levels at high efficiency and can use Lithium-ion or AAA batteries. 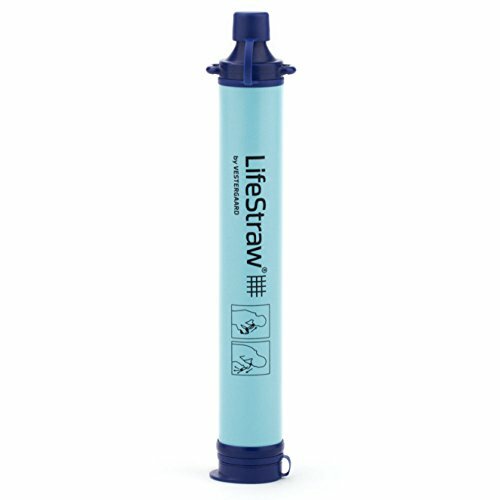 The LifeStraw Personal Water Filter for Hiking, Camping, Travel, and Emergency Preparedness is an incredibly award-winning device that uses a microfiltration membrane to remove 99.999999% of bacteria in water, as well as 99.999% of parasites in water from rivers, streams, and other sources. It even gets rid of microplastics present in water, bringing turbidity down to 0.2 microns. This LifeStraw has been proven through countless tests and laboratory investigations to work as it claims. It can provide the filtration of 1,000 gallons of water within its lifespan and is perfect for survival enthusiasts who may not have easy access to clean water. Plus, each purchase of a LifeStraw provides free safe drinking water to one school child for an entire school year! An adventurer who travels around in search of new uncharted territory may find themselves in the middle of nowhere, often. And when your vehicle breaks down in the middle of nowhere, you might be fresh out of luck. 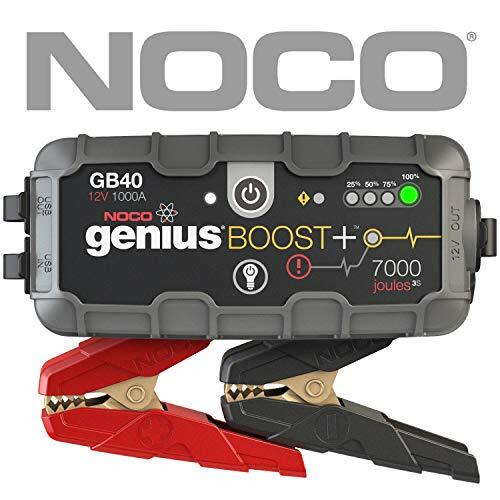 The NOCO Genius Boost Plus GB40 1000 Amp 12V UltraSafe Lithium Jump Starter provides an easy solution. This lithium jump starter is designed to work for many different car models. It is rated at 1,000 Amps and can easily be charged via USB, and on a full battery, it can provide 20 jump starts without needing replenishing. It also comes with a 100 lumen LED flashlight equipped with an impressive 7 light modes and can be used to charge devices via USB. Survival enthusiasts need their hands to be protected, but dexterous. 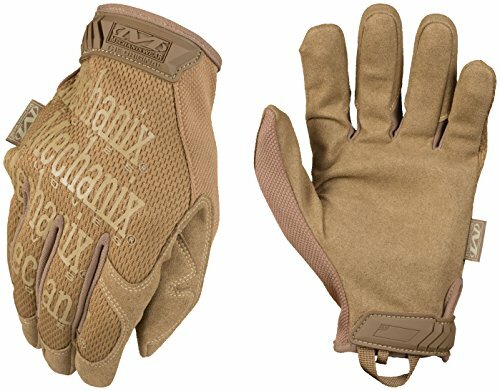 The Mechanix Wear MG-72-010 ‘The Original’ Large Coyote Gloves fills that need. These gloves are made from 100% spandex with TrekDry that fits closely to the hands while being breathable for comfort and coolness. These gloves use a seamless single layer over the palms to provide a close, accurate fit and lots of dexterous movement. It is easily machine washable, closes and opens easily but securely, and has a first-knuckle impact guard. As an added bonus, they are great for preventing hand fatigue thanks to how impact-absorbing the palms are. 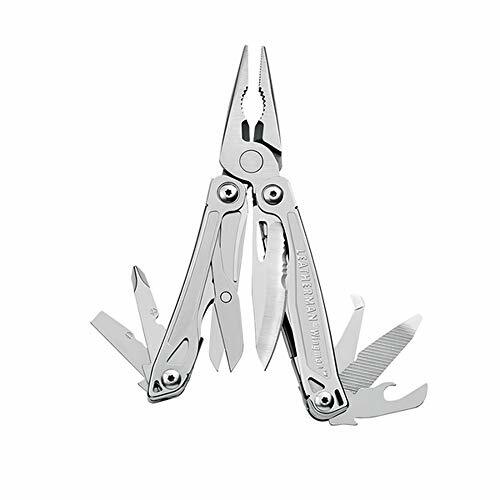 If you are seeking a device similar to a Swiss army knife but better, look no further than the LEATHERMAN Wingman Multitool. This multitool comes with an impressive 14 tools, including survival essentials like pliers, a knife, scissors, wire cutters, and much, much more. This multitool is easily operable and can be used one-handedly. It is highly compact and lightweight, and it even comes with a removable pocket clip so it can be easily brought around. On top of all these cool features, it also has a 25-year limited warranty!here. If your giftee isn’t someone who naturally has the ability to urinate standing up, this unusual but highly useful gift might be of help. 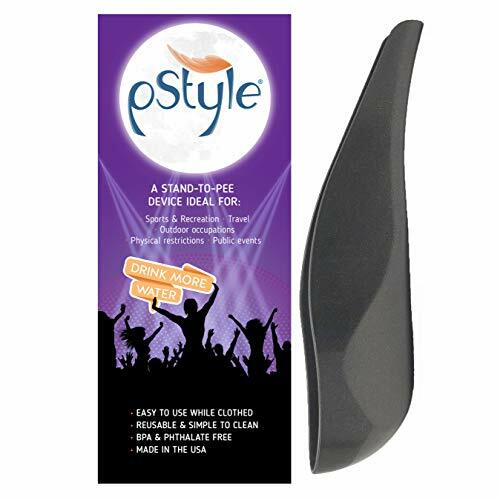 The pStyle is extremely easy to use and allows anyone to easily go to the bathroom without squatting, or even needing to take off their clothes! The pStyle is lightweight, making it easy to bring around. It’s easy to clean and is made from silicone, which does not harbor bacteria. It’s a great way to give your giftee the luxury of more privacy. 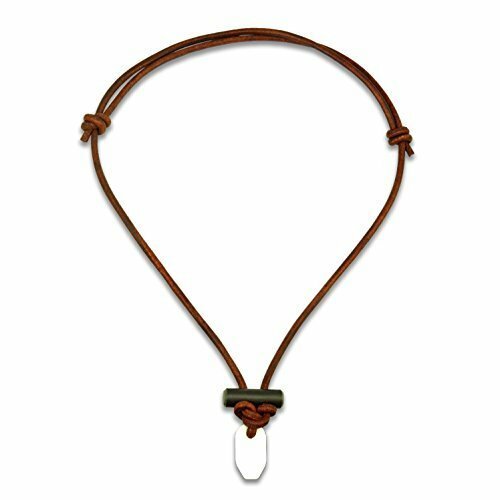 The Bushcraft Fire Starter Necklace is subtle, stylish, and highly functional. It has two parts to it, made up of a black chamfered Ferrocerium barrel toggle and a white Zirconia (ZrO2) Ceramic Scraper. Used together, they are great for beginners and experts alike when creating fires and come with a free instructional video as well as beeswax jute tinder for practice. This handcrafted fire started necklace fits on necks measuring up to 26”. It is knotted with the double fisherman’s bend and the Alpine butterfly loop, which are secure and fashionable on people of all ages, genders, and preferences. Tactical gear is all the rage these days. Typically towels are bulky and tend to start to smell when not meticulously dried. The McNett Tactical Ultra-Compact Microfiber Towel solves these issues. It is a highly compact towel that packs very small, and it is treated with silver. It is very lightweight for easy mobility and is very dense, allowing it to be used for all sorts of cleaning and wiping tasks. This microfiber towel dries quickly and inhibits bacteria growth, preventing odor. It is highly absorbent and comes with a deluxe mesh storage bag. The FiveJoy Military Folding Shovel Multitool is a survival tool that truly has it all, beyond what most multitools contain. 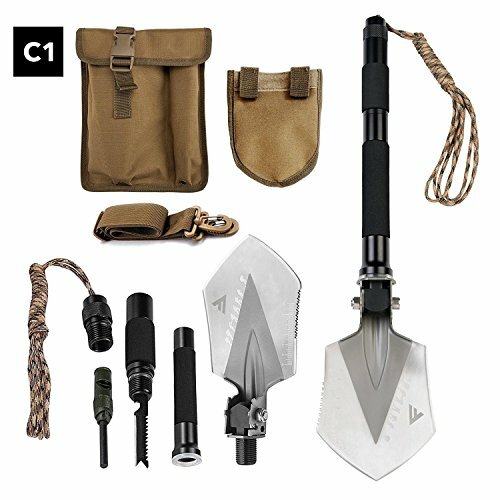 This device includes an axe blade, hammer, shovel, saw edge, paracord, and much more, and every bit of it is designed for heavy-duty use. Despite all it can do, this multitool weighs in at less than 1.2 lbs and folds up into a very compact set-up. 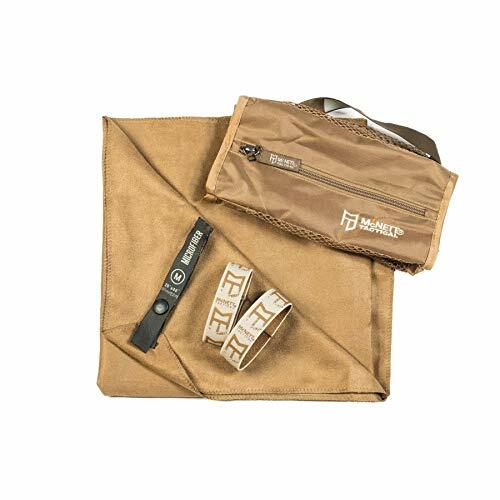 It can easily be added to any survival kit and is forged from solid carbon steel and aerospace grade aluminum, making it resistant to breaks, rust, and water.